If you’ve already bought a great mattress and are still struggling to fall asleep at night, maybe it’s time to turn your attention away from your bed and focus on something a little more inconspicuous: your light Bulbs. Those incandescent little beauties are the entire focus of Soraa, a company that’s been working to change the professional lighting game since 2008. While the brand’s original aim was to bring “natural light” into high-end museums and restaurants, it’s since shifted gears to improving the lighting quality of people’s homes. 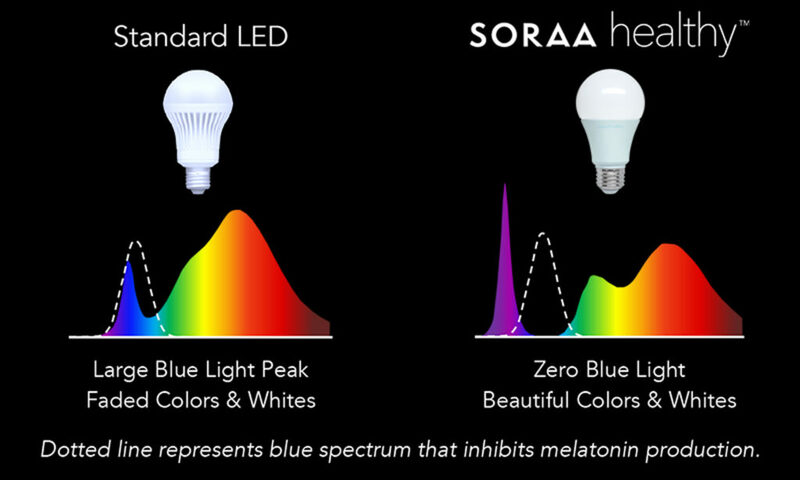 According to Soraa Senior VP of Marketing Todd Antes, most people aren’t aware of the fact that their bedroom lights could be negatively affecting their sleep. He told Digital Trends that the same blue light found in most traditional LEDs is great at waking people up, but can cause some major issues closer to bedtime. Namely, this source zaps sleepers of their melatonin, a hormone closely associated with peaceful slumber. Enter the company’s Healthy LED bulb. At $19 a pop, these bad boys are devoid of Blue light, producing a hue that’s much closer to natural light. The softer rays emitted from these bulbs are designed to encourage your body’s production of melatonin, lulling you into a deep and restful sleep. And one of the biggest problems with blue light is that it’s not just contained in bedside lamps, but also sneaks its way into computers and smartphones. This means most of us are surrounded by the pesky stuff all the time and don’t even realize it. So What Do We Do About Light? Thankfully, there are a lot of things you can do to reduce your exposure to blue light. The first and most obvious is to put your technology away at least 30 minutes before getting into bed. If you just have to check Beyoncé’s instagram feed, switch your iPhone into “Night Shift” mode, which swaps out blue light for a warm, orange glow. 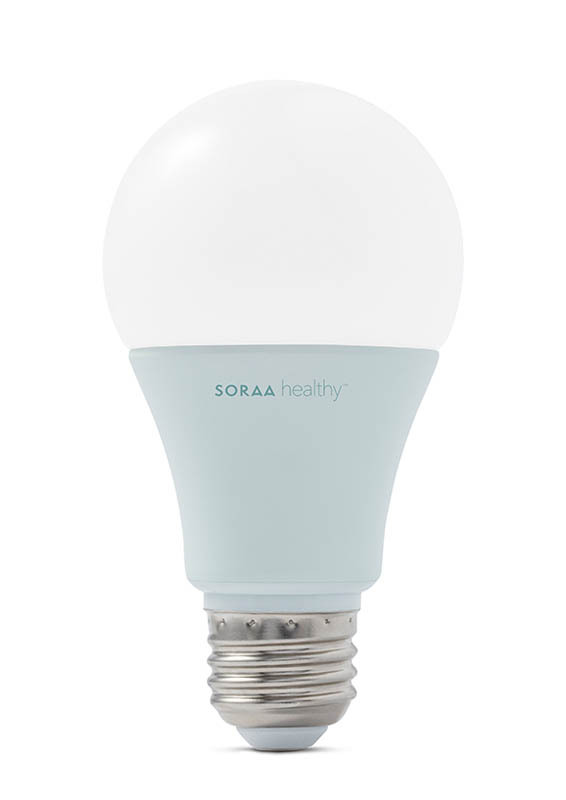 You can also give Soraa’s line of healthy bulbs a whirl and outfit your home with some radiant and gentle light. The post These “Healthy” Light Bulbs Promise To Improve Your Sleep appeared first on Sleepopolis.